The Lake Roland Nature Council and its committees welcome new members and volunteers. You can join our Council. Provides coordination between Lake Roland and local environmental/land artists to bring unique art installations to the trail system of Lake Roland. Communicates with and educates nearby communities about Lake Roland and its unique treasures and encourages citizens to become park users and good stewards of the park through participation in park activities. Identifies current users and activities in and around the park. Coordinates the development of a plan for the future direction of the park that will be an asset to the surrounding communities. Focuses on efforts to preserve the environmental assets of the park and ensure that Park users are informed about the historical elements that make the park a unique Baltimore resource. 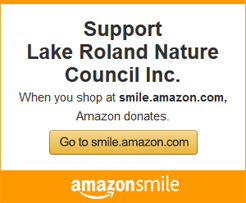 Promotes membership in the Nature Council as a way to identify volunteers who will support its operations and programs. Operates Paw Point Dog Park, is a membership-only off-leash area for dogs and their friends, located at the tip of the Peninsula in Lake Roland. Sponsors recreational opportunities that meet a broad variety of community needs, without infringing on the needs of other park users. Communicates with and educates residents on issues of common concern related to preservation of the park’s natural assets. The committee provides information to neighbors and residents about activities and programs sponsored by the Nature Council and the park. Focuses on trail maintenance projects including fallen tree and vine removal, trail mulching, erosion abatement, and lake cleanups.